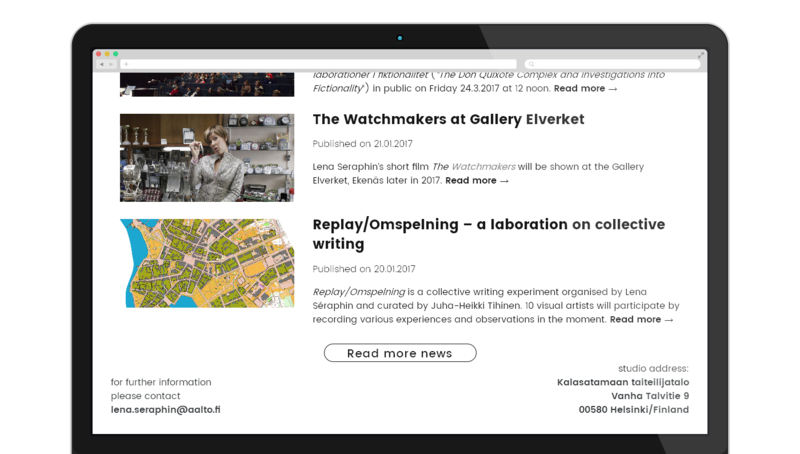 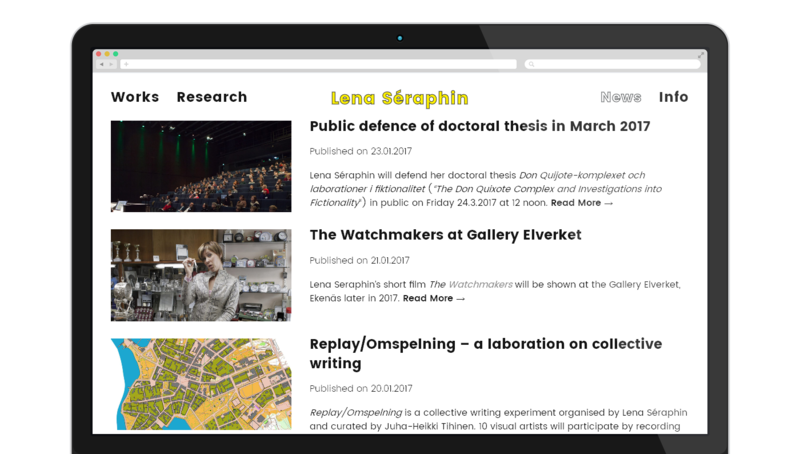 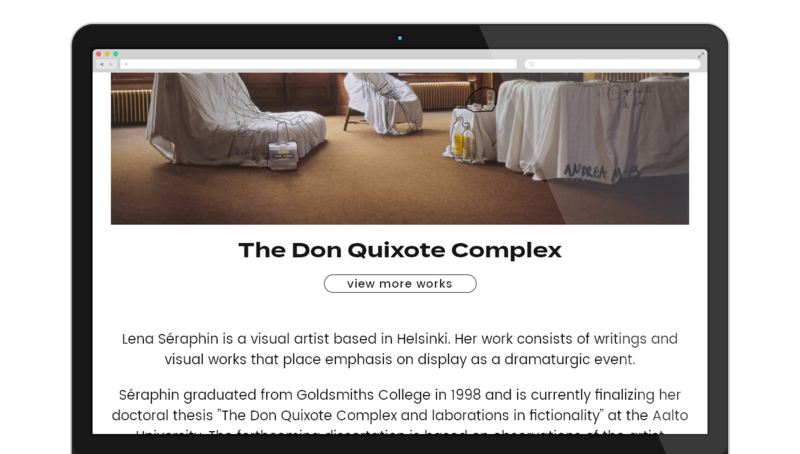 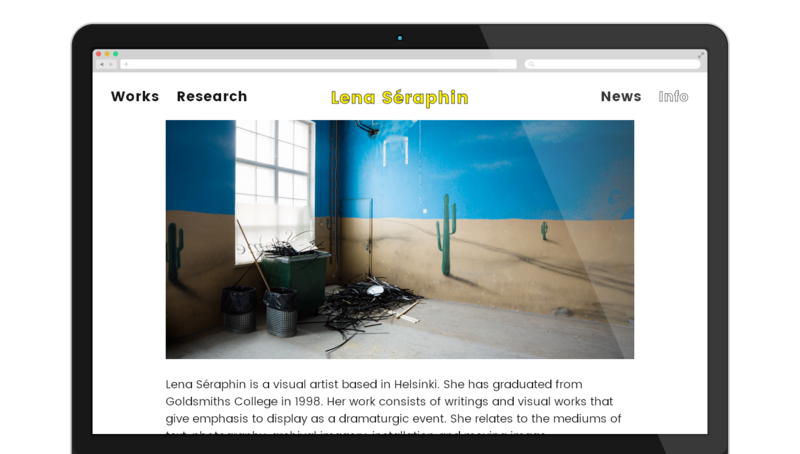 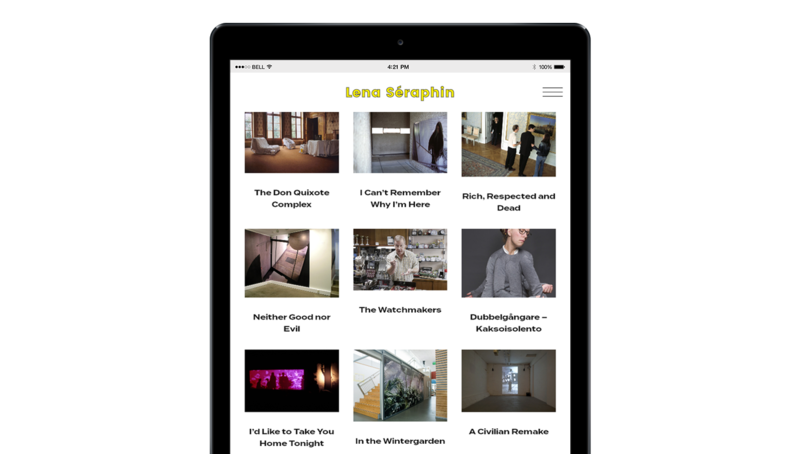 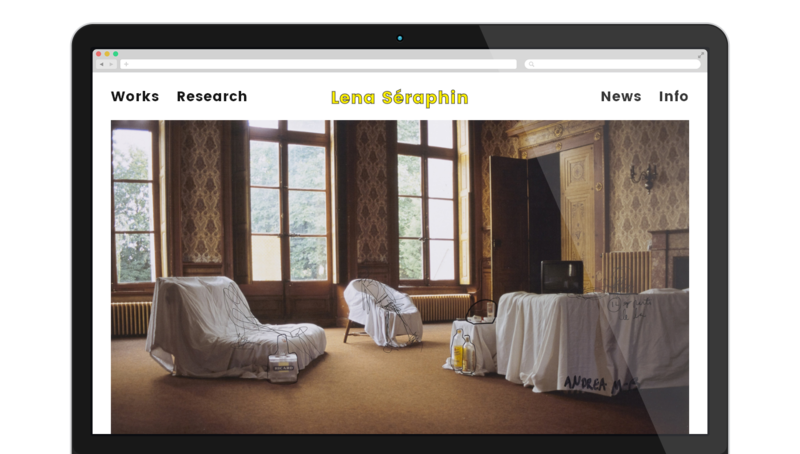 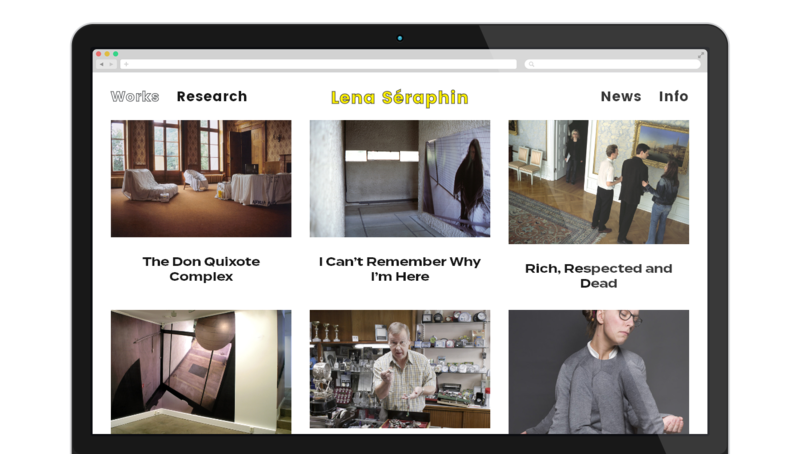 Finnish visual artist Lena Séraphin approached us for re-designing her fairly old website and we came up with this. 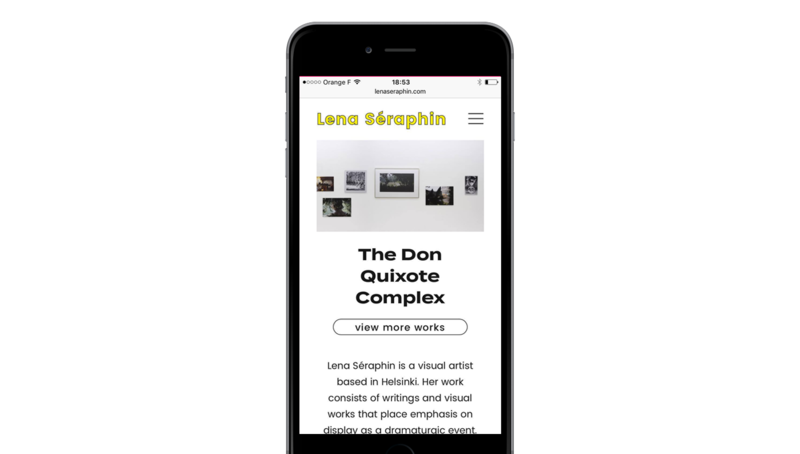 The constraint for us was to find a way to innovate with the extremely restricted status of the proper contemporary artist’s website. 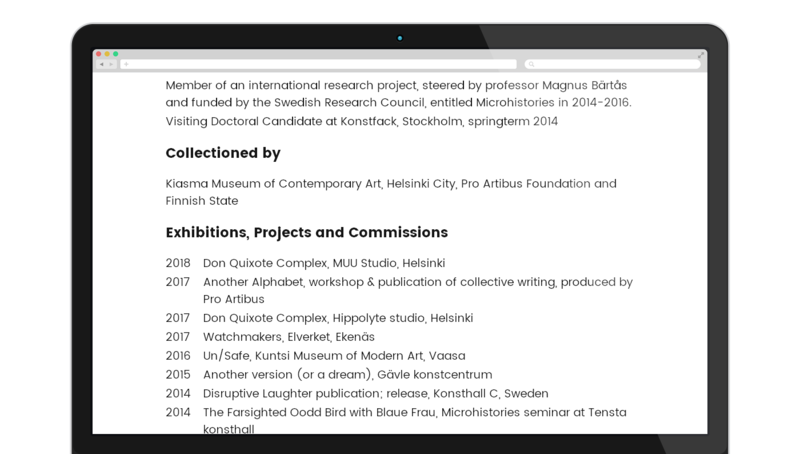 Having ourselves delivered quite a few of those sites in the past we also knew all too well that these restrictions are not arbitrary and fulfill very meaningful and often essential demands. 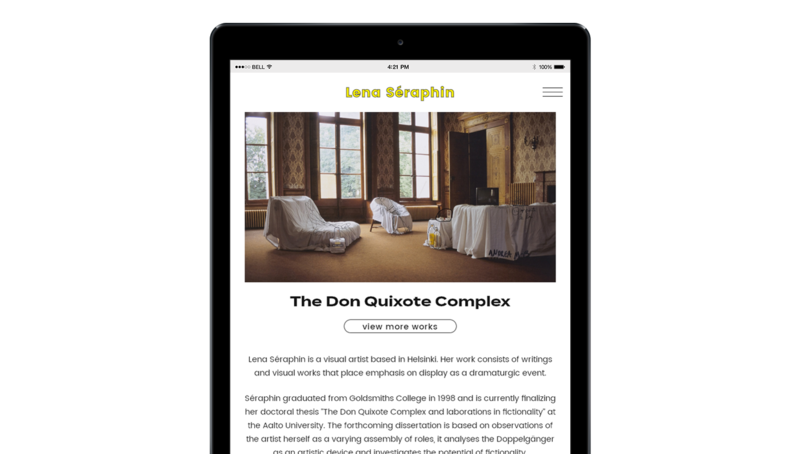 The design started with our own idea of a very simple, centered, mobile-first website that we combined and merged with various demands from the artist and the specific type of website at stake. 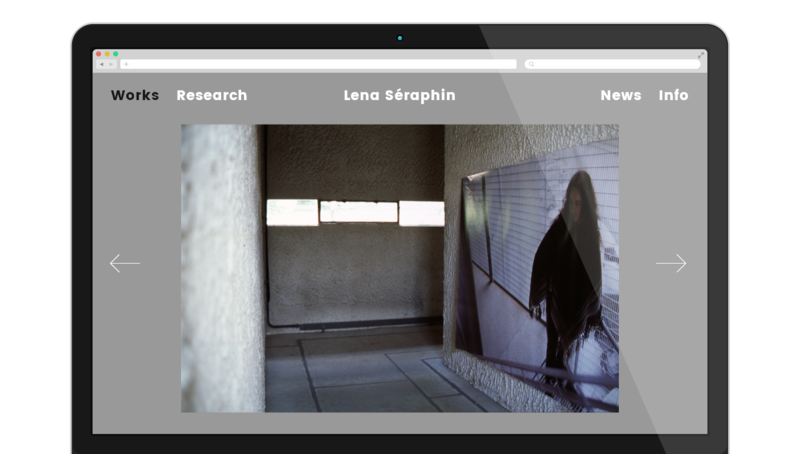 Weather than trying too hard to break the mold we patiently incorporated each element into the simplest layout we could think of.